In 2018, pupils at St Mary’s celebrated the best GCSE results in eight years. More than 85% of girls received A*-B and over 60% gained A*-A grades. 28% of all grades were A* or 8-9, the highest grades possible in the new GCSE grading system, compared with the national average of 10%. Across the year group, A* was the most common grade achieved. At GCSE we offer a wide range of subjects to meet our pupils’ needs and interests. We promote intellectual curiosity, academic excellence and an increasing emphasis on a more independent work ethic over the two years of the Fifth Form, all within the context of the opportunities that an all-round education affords. We do this by ensuring our lessons are exciting and interesting, our courses are relevant and inspiring and the environment we create is rigorous yet supportive. Our Fifth Formers are increasingly confident young women who are proud of their success and of their school. We provide the girls with a balanced study programme which gives each individual a broad education until the end of their GCSE year, ensuring the widest choice of opportunities in sixth form and beyond. A tailor-made timetable will include the core subjects, (English Language, English Literature, Mathematics, Religious Studies, Science and a Modern Foreign Language) as well as up to four additional subjects from different option blocks. Girls normally study between nine to eleven GCSEs. We believe the study of a modern language is an important component of the curriculum at St Mary’s and is highly valued by universities. Pupils will therefore normally continue with at least one modern language to GCSE although girls with a particular interest in languages would usually study two. An exception may sometimes be made to the requirement to study a modern language, such as where English is not the pupil’s first language. 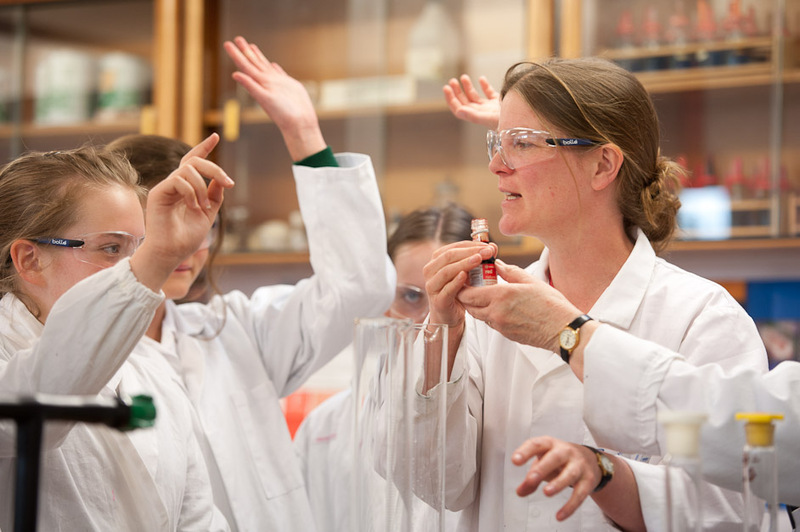 All pupils will study the three sciences but, depending on their interests and abilities, girls will either follow the Combined Science course which leads to two GCSEs or the Separate Science course which leads to three GCSE grades. The science department will offer advice to the pupils during UIV about which course would be most suitable. Girls who show an aptitude for Science may study Biology, Chemistry and Physics separately. To download our 2018-2019 GSCE Information Booklet as a PDF, please click here.